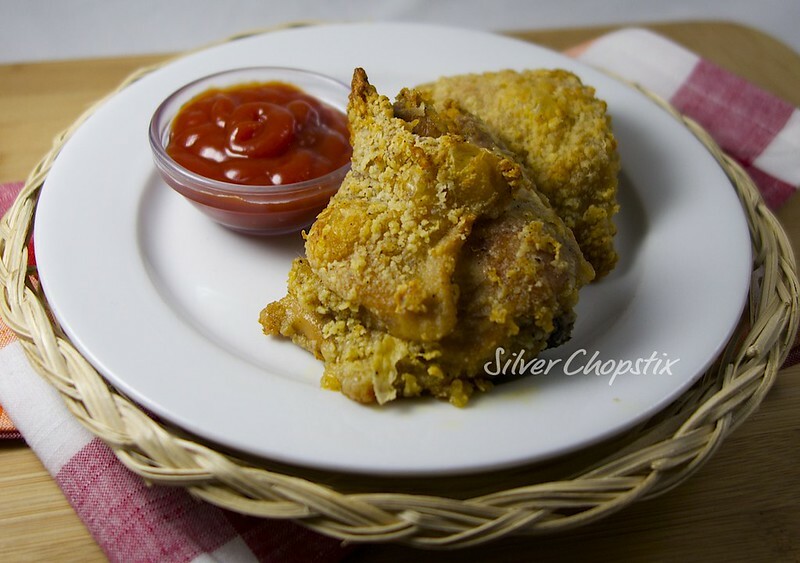 This is a very easy recipe for those of you like me, who love fried chicken but hate frying, the spatters and the messy clean up after. 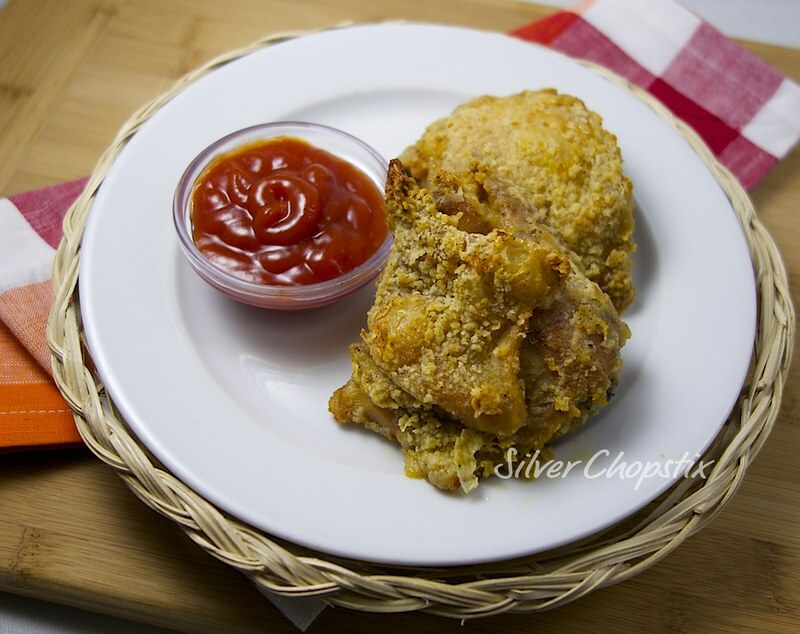 I have been making fried chicken this way since my kids were little. I find it hassle free and would not require you to be at the stove 100% of the time. Make sure to use bone in chicken for this recipe. I used chicken thighs and marinated it with the juice of one lemon and about 1 tsp of salt and 1/2 tsp of pepper for an hour in the refrigerator. Overnight would be ideal. Pre-heat your oven to 400F. Place 1/2 cup all purpose flour, 1/4 cup cornstarch, 1 tsp salt, 1 tsp pepper, 1/2 tsp garlic powder and 1/2 tsp paprika in a ziplock bag and shake to combine. 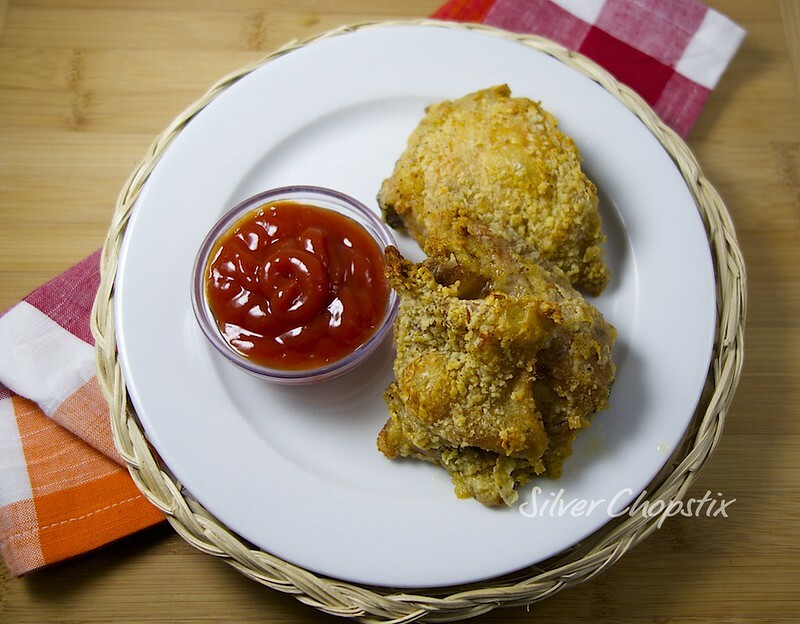 Add your chicken pieces to the bag with seasoned flour one at a time to coat evenly. Line your baking tray with heavy duty foil and spray with non-stick cooking spray before placing your chicken on it skin side down. Bake for 45 minutes to an hour depending on the size of your chicken pieces. Turn chicken over half way through cooking time. 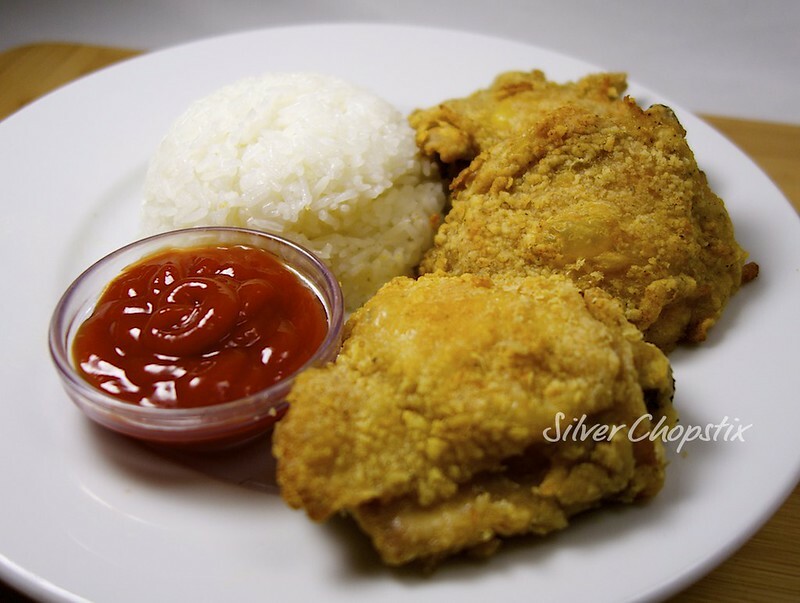 In our household we eat fried chicken with steamed rice and ketchup on the side.